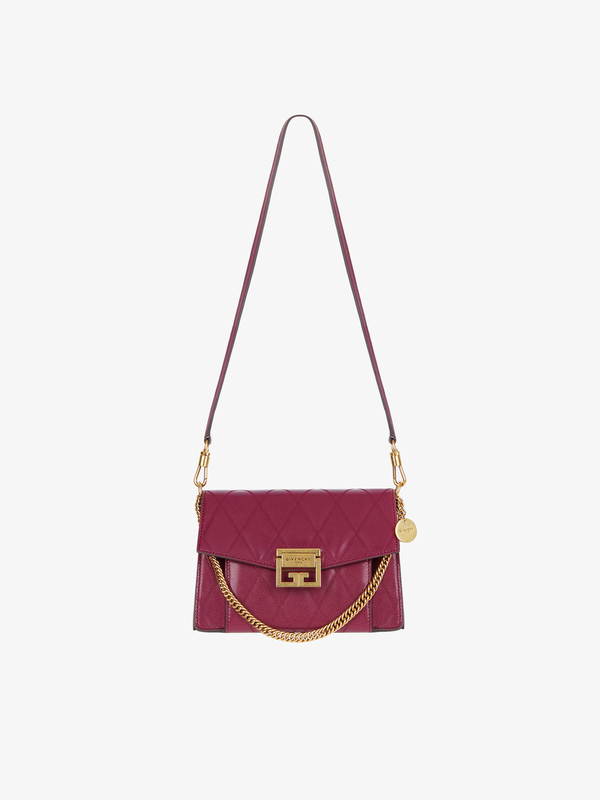 Small GV3 bag in orchid purple diamond-pattern quilted leather with flap and removable shoulder strap. Magnetic Double G clasp, chain on the front, and medallion with GIVENCHY PARIS engraving on the side in antique gold-finish metal. Three accordion compartments and two flat pockets inside. One zippered pocket outside.